Young working professionals with disabilities have quite often reached out to NCPEDP from time to time sharing their work and on finding out ways to contribute to creating disability awareness and promoting inclusion in the country. Also, young disabled people already working and contributing their bit to the disabled community need guidance on the basic knowledge of advocacy and legislation and policy making structures. 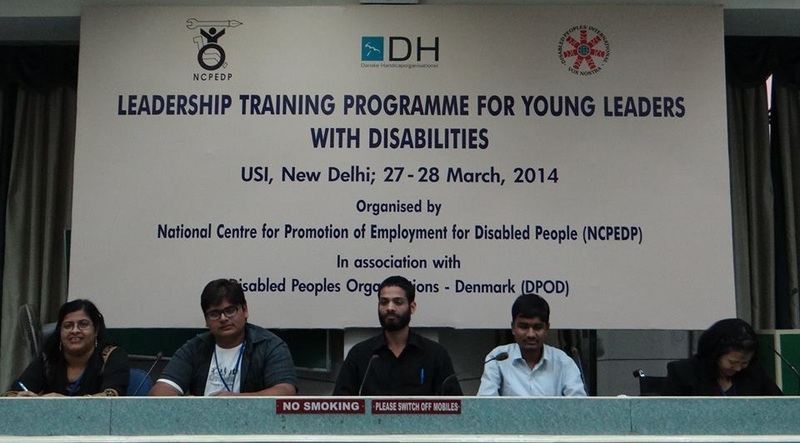 Therefore, in order to bridge this knowledge gap and to further identify and inspire the next generation leadership of the Indian disability sector, NCPEDP conceptualized the Leadership Training Programme. This intensive two day training gives the selected participants a hands-on experience in identifying issues, building their capacity for promoting inclusion in various sectors and working with law makers and policy makers. As the participants are mostly working professionals, the training programme grooms them to play a larger role in creating inclusion wherever they are - they could be working in a civil society organisation or in the corporate sector, or young professionals - lawyers, journalists, architects, etc. Selected through a nomination process, the participants have leadership potential and a strong interest in working for the cause of disability. Many of the former participants are now actively working towards promoting inclusion in their workplace and in society. The first ever Leadership Training Programme was organised on 27th & 28th March, 2014. The event saw 25 young persons with disabilities from across the country come together at one platform. Besides sessions on youth participation in the disability movement and their role in policy level advocacy, they also met with some senior bureaucrats to get an idea of how the governance system works and how advocacy happens. Some of the senior officials they met were Dr. Amarjit Singh, Additional Secretary, Ministry of Human Resource Development; Anshu Prakash, Joint Secretary, Ministry of Health; and Awanish Kumar Awasthi, Joint Secretary, Department of Disability Affairs, Ministry of Social Justice & Empowerment.